NEW BRITAIN - There will be a new name across Atlantic League scoreboards come first pitch next season. The High Point Rockers will join the league in 2019, replacing the Road Warriors. 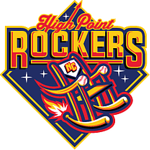 High Point Baseball, Inc. was officially approved in March to add the Rockers to the league, which remain at eight teams again next season. The new park, BB&T Point, is still under construction and is expected to have a 5,000-seat capacity - compared to New Britain Stadium’s 6,146. The Rockers will end the Atlantic League’s only travel team. The Road Warriors took the place Bridgeport Bluefish before the current season began. The Bluefish played their final game in 2017 when Bridgeport Mayor Joe Ganim elected to turn their stadium into a music amphitheater. Posted in New Britain Herald, New Britain Bees on Monday, 20 August 2018 18:36. Updated: Monday, 20 August 2018 18:39.